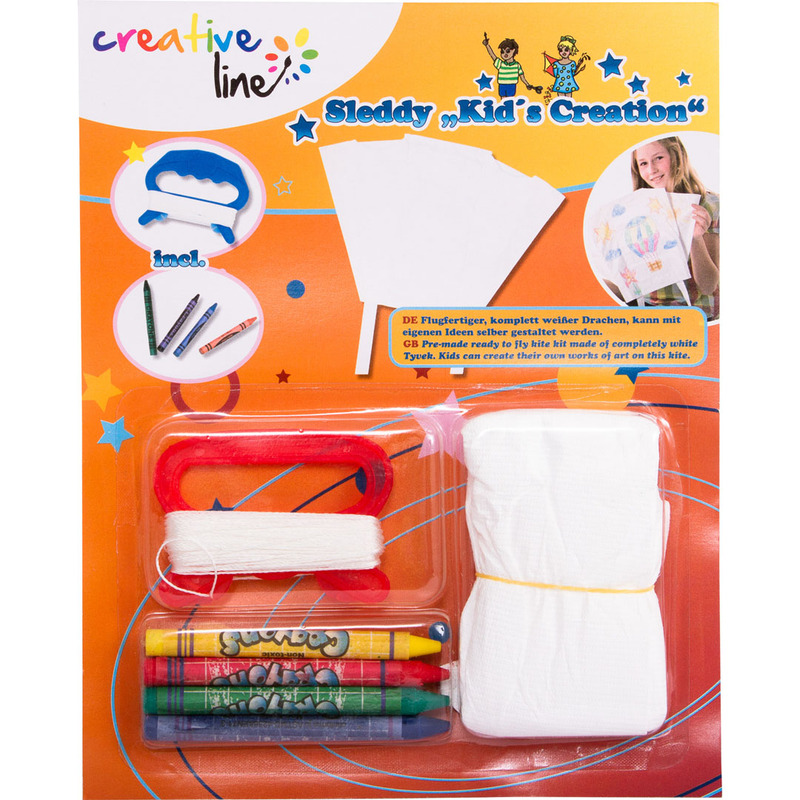 The "Creative Line" provides children with experiences that stimulate and encourage their natural creativity using colour and design. 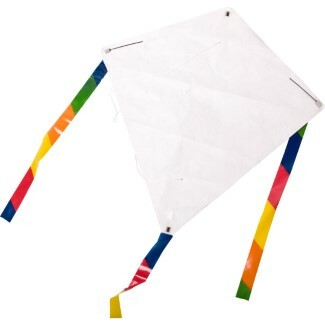 There is something wonderful about building your own kite decorated with your art work and watching it fly into the sky powered by wind and imagination. 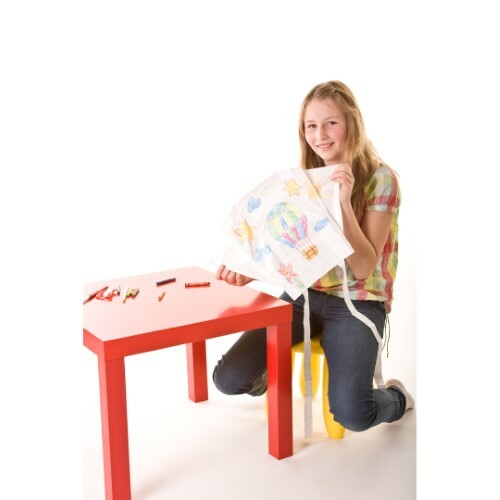 Our Creative Line kite kits give children the opportunity to enjoy the design and construction process on their own. 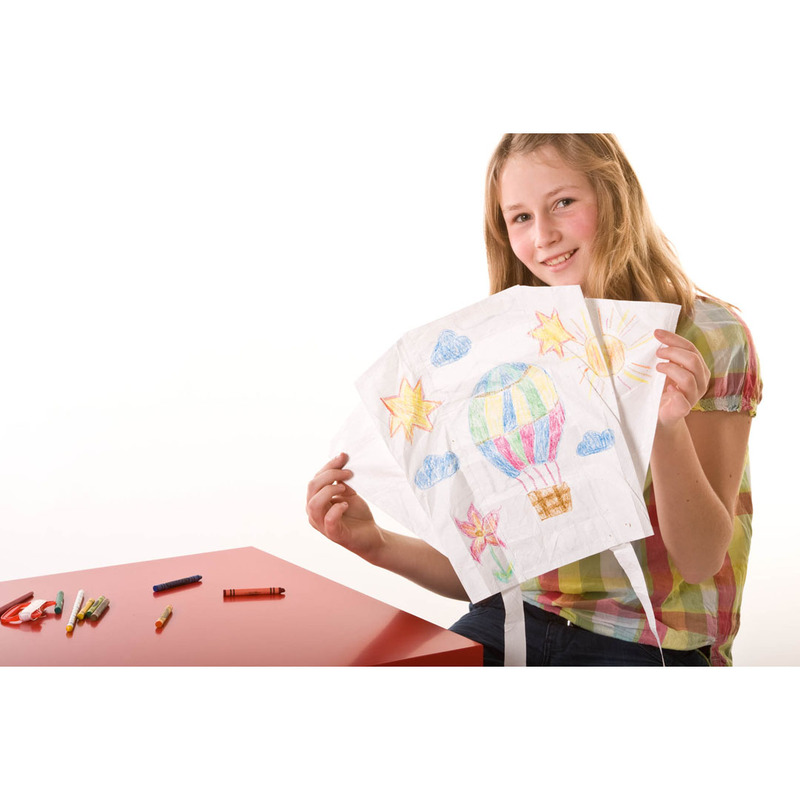 Step by step, children create individual ideas for kite designs by using the enclosed materials. Ideal for a group activity at schools, parties, camps, workshops and family gatherings. 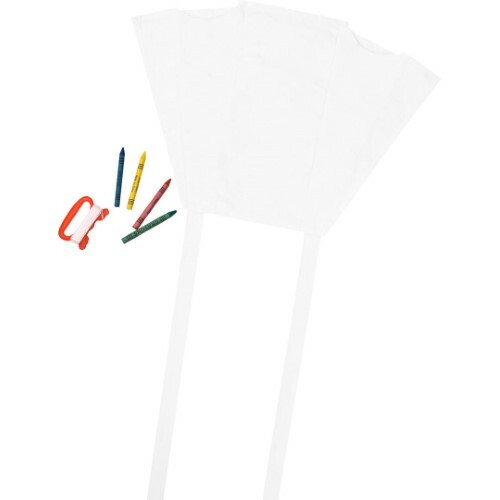 Pre-made ready to fly kite kit made of completely white Tyvek. Kids can create their own works of art on this kite. 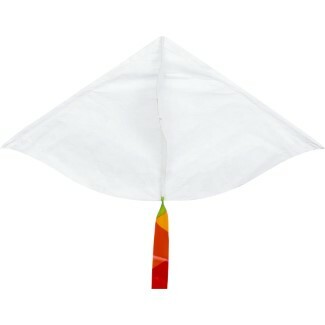 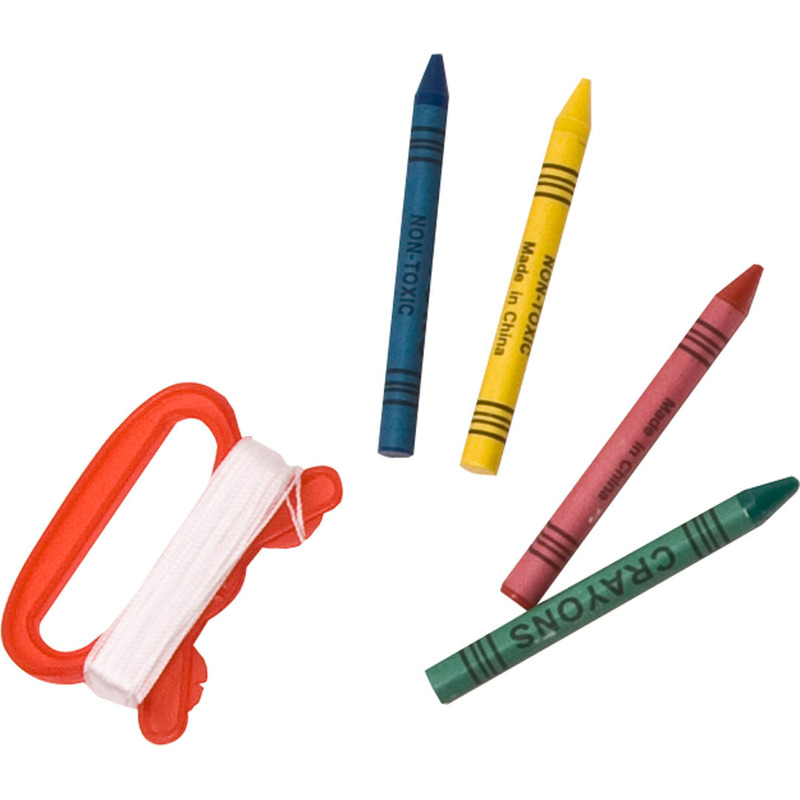 Ready to fly set of Mini Delta kite, polyester line on handle and 6 crayons.